Idea Factory International is not running short on releases this year with a pretty strong line-up of titles. 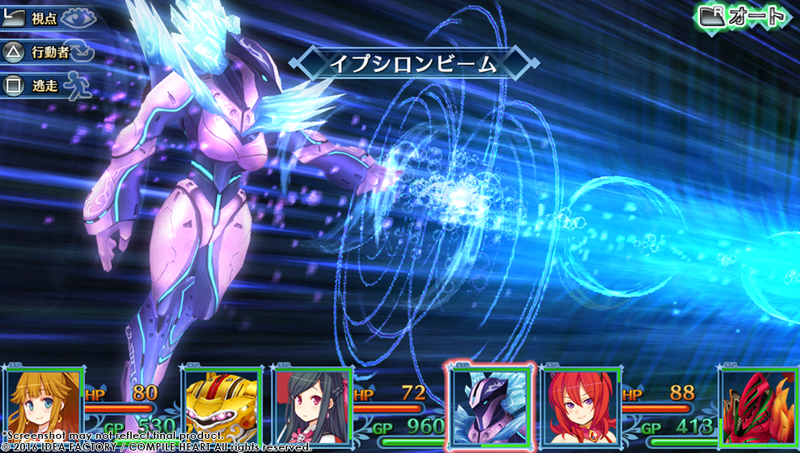 Operation Rainfall had that chance to meet up with David Alonzo and Ari Advincula at E3 2016 to talk about two of their upcoming games: MeiQ Labyrinth of Death and Superdimension Neptunia Vs Sega Hard Girls. If you would like to learn more about Idea Factory International check out our previous interview with the team about localization. Hello this is Ari from Idea Factory International and David also from Idea Factory International. And we’re here to show you MeiQ Labyrinth of Death and Superdimension Neptunia VS Sega Hard Girls out of PS Vita and PS TV Fall 2016. Thanks for that introduction, can you explain a little bit about MeiQ Labyrinth of Death? Well, what makes MeiQ special is the customization that the developers worked really hard on. So if you’re looking at the model of the guardian, you can change any parts of the body, he can even have no body at all, which is not advised. Basically, everything is done on this elemental system. There are six different elements. These elements are like Pokemon generation one, you’ve got, fire beats leaf, leaf beats water, etc. But in MeiQ the elements are called wood, fire, water, earth. These stats change dramatically when you customize the guardian. Now let’s look at the mage. Ari pulls up the menu to show the protagonist wearing a Neptunia costume that will be free DLC for early adopters. Additionally, a Trillion DLC outfit is also available. Estra, the mage, can change outfits and that’s where most of her power comes from. Normally she’s earth based, but as she gets other costumes she can change elements. You are also able to use “Seeds” to customize Estra. Seeds give you various bonus stats, like “Guardian of the Land”, and “Monster Analyzer”. This has the player change the seeds based on what they want from that special effect. You have to ask yourself, do I wanna analyze monsters or do I want more defense? So, the customization for her and the ten different guardians is where all the customization come together for this game. What can players expect out of the dungeons and using this customization at their advantage? It could get complicated, but the reasons you want to change the advantage and disadvantage elements is for the dungeons. The dungeons have different monsters, affinities and traps-called “Gimmicks”. Also, the difficulty can be changed on the fly. A cool thing that was done to this game to improve dungeons is, if you are walking forward down a hall and hit a will the character will auto turn so you can just keep going without pressing right. Ari shows the gimmick in the dungeon. It’s a pit trap that makes you fall down a level of the dungeon. They explain that there’s also ice and illusion gimmicks. What can players expect from the battles? You have the guardian and the mage. However, when the mage is in active form, it allows her to attack, but she’s out in the open. The problem with this is now the monster can attack the mage. The guardian and mage have a huge difference in HP and defense. If your mage dies, game over. You want to be able to switch between your guardian and your mage when you need to. However, the only way you can heal or use items is by having your mage on active front. [Possible Spoilers] Later on in the game you will have four mages and four guardians, which is a party of 8 and each pair can be switched independently. 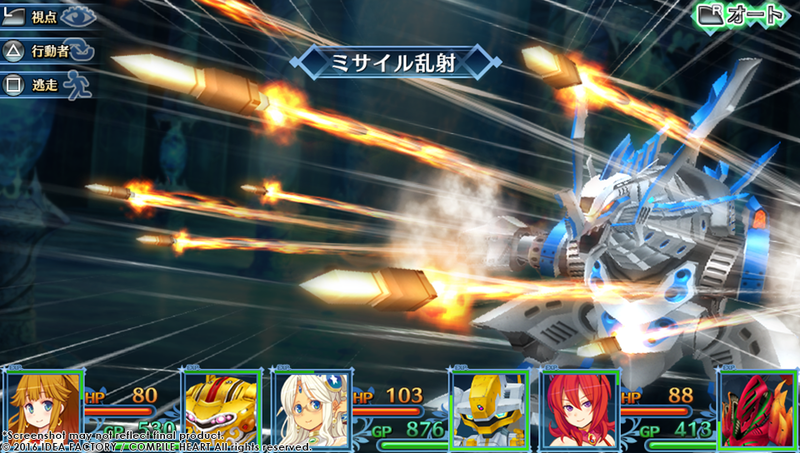 You’re also able to speed up the battles with a press of button. This was a developer choice because of the very indepth customization of the game. They wanted to make the grinding very stream lined for players because it can be a grind heavy game. What is the story premise of MeiQ? Well, this is post apocalyptic world and the plants gone dark. It’s up to you, the chosen mage, to bring light back to planet by turning the planet key. So the world is dead, these four dungeons and “Star Wing Inn” are all that’s left of it. Estra has been sent to try and be the chosen mage and bring that life back. What can the player do in Star Wing Inn? This is where the player can save and rest in the game. Ari brings up a shop where the shopkeeper stand before you on the screen. She says, “Yes, this is a thing” as she touches the Vita’s screen and the breasts move. After this discovery, I touch the Vita’s screen as each new character comes up. This is the most important place on the world map because it has the machina factory. This is where you build different guardians and buy parts. So it introduces another layer of customization. The player will be able to create each individual part for their guardians. Additionally, this is the only way to strengthen your guardian. The mages can gain strength through leveling up, but the guardians can only level up through the machina factory. What is Superdimension Neptune VS Sega Hard Girls? 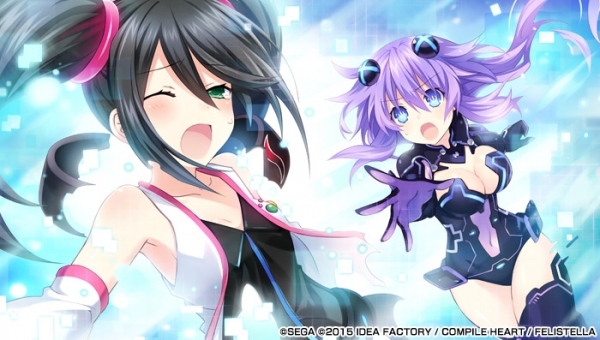 Superdimension Neptune VS Sega Hard Girls is a collaboration with Sega that spawned from a 3D short form anime. Characters in the anime are personifications of Sega systems. So this falls perfectly in line with the Neptunia series. 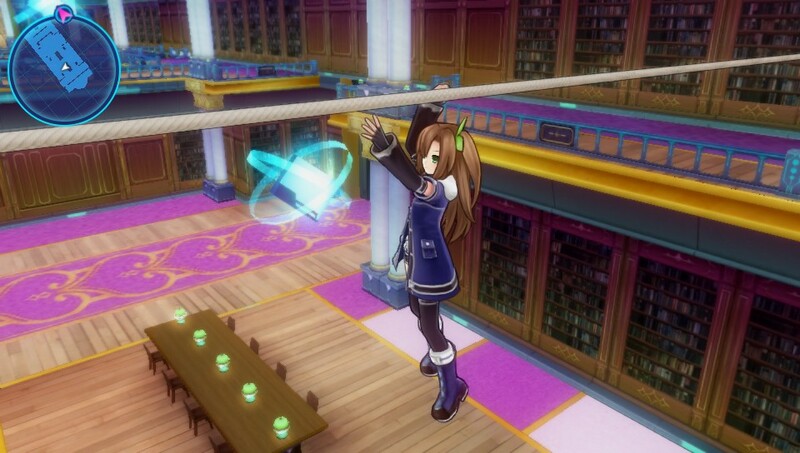 In this game, Iffy is the main character, finally. She rides around on a motorcycle traveling through a world that’s left ravaged after a war between the goddesses and the Sega Hard Girls. Iffy comes upon a grand library that houses all the information and history of that world. She then realizes that information is disappearing, so she goes and tries to find out who’s destroying all the history. So then there’s Segami, who is a reference to Hatsuni Miku. Her design looks very similar as well. She literally falls out of the sky and into Iffy’s world and says, “Hey, I have amnesia, let’s figure things out”. What are the battle and dungeon scenes like in the game? Iffy is able to do things in the dungeons now like “Dash”, as well as, climb and crawl. Battles are a little different than what you’re used to. You now have a “Jump” feature. This is used in battle to obtain gems that appear in the battle scene. These can recover your health or SP. Also, there’s a “Fever Gauge”. As you land attacks you feel up this fever gauge, once that fills up to 100% a “Rainbow Jump” will appear and you can enter into “Fever Mode”. In fever mode your stats get boosted by 10% and the enemies can’t take a turn. You basically become super OP. This will last until the gauge depletes. Segami can transform into other Sega Hard Girls in battle, making her sort of goddess in her own right. Iffy is not a goddess, but she can pull off a “Flame Awaking”, turning her into a fiery form. This is a reference to an old Compile Heart game when the company was just called Compile, where the main character had this fire demon. Each of Iffy’s demonic skills are all references to that game. 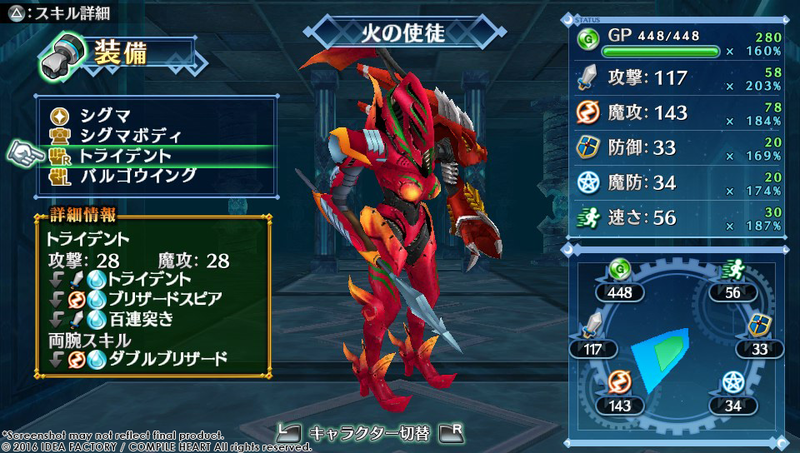 You can also equip classes in the game, kind of like the job system from Final Fantasy Tactics. These classes come with their own “Class Skills”. An example of this is: Some of the gems in battle are a little too high, but there’s a kangaroo class that will allow you to jump higher. I see baseballs on the screen and wonder why Iffy would be collecting them. I’m told that the baseballs are a reference to a very old Sega toy that would shoot baseballs at you. Where Neptunia games are full of a variety of game references, Superdimention Neptune VS Sega Hard Girls is full of only Sega references. What Neptunia characters will be returning to this game? So since the game is set on Planeptune, the characters returning are Nepgear, Uzume, and Plutia. 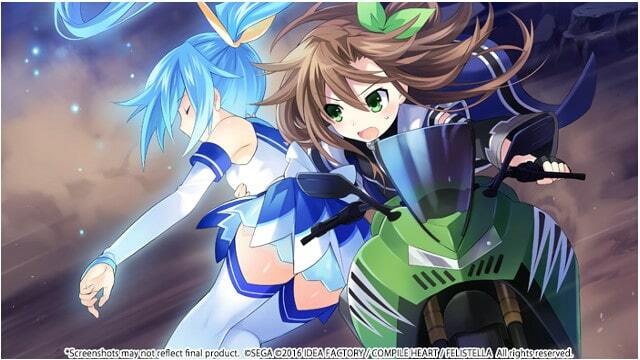 Also, Neptune is returning, but as a motorcycle. About that, they’re traveling through time to figure out what’s going on, and in the middle of those travels Neptune turns into a motorcycle. It provides some very funny dialog through out the game. So that was Idea Factory International’s interview with us about these two upcoming games. Which are you excited for? Let us know in the comments below. A contributor is somebody who occasionally contributes to the oprainfall website but is not considered an oprainfall author.